Have you ever wanted to beta test a feature of your web application to a subset of real production users? 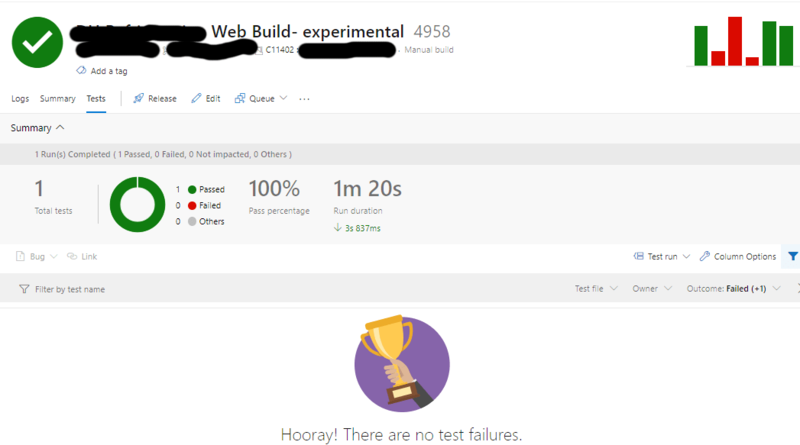 How about deploy different versions of the same application to a test environment? 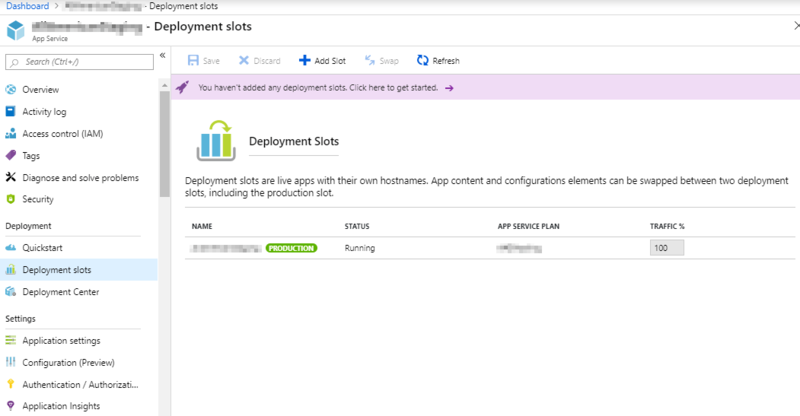 With Azure App Service Deployment Slots, you can. In this post, I’ll give you a quick, simplified tour. The key here is to not overthink it, as I admittedly did when first learning about them. 3. Click ‘Add Slot’ to create a new deployment slot. 5. Done! Well, mostly. You now have two deployment slots. Your original web app is sitting in its own slot called the production slot. Its running just as it always has, except in its own slot. All traffic continues to be routed to your original web application in this slot. The new slot you just created is a full fledged web app, complete with its own URL and its own config, empty and waiting for you to deploy code to it. Click on the new slot link and you’ll be taken to the management page of that slot. Notice it is exactly like a regular App Service management page. Its essentially its own application. From the management page, you can click the link displaying the URL of the app to navigate to the running application. Deploy the code containing the features or version you want to test to the new slot. 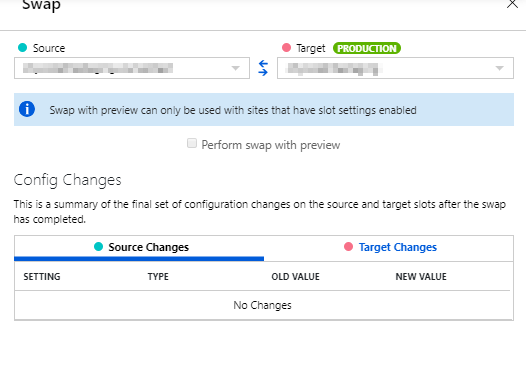 You can download the deployment profile for the new slot from the management page and use it for deploying from Visual Studio. When you’re ready, you can perform a swap of the two slots. Swapping slots at this point moves the new application into the old application’s slot, accessed at the old slot’s URL. The old application moves to the new slot, accessible at the new URL. Most importantly, there is no traffic interruption during swaps! If you don’t want to full on swap slots, you can specify a percent of traffic routed to a slot under the slots management page. On saving, traffic is routed to the slot you configured according to the percentage you specified. Clients do stay on the slot they’re routed to for their entire session, persisted by cookies set on their initial request. You can direct a client manually to a specific slot by setting a query parameter in a link provided in your app. Set the x-ms-routing-name parameter value to ‘self’ to direct to the production slot, and to the name of the desired slot to route to the desired slot. Subsequent requests will be routed to the same specified slot. You can use this feature to allow users to opt into certain features, then opt out. There you have it, a swap knowledge snack. Now say “How many slots could a wood chuck swap if a wood chuck could swap slots” fast 5 times. Create a resource dictionary for your page. It could be at the app level too. 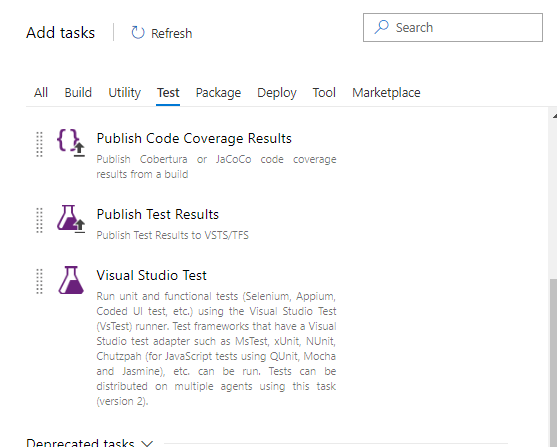 Visual Studio App Center has a great API exposing most if not all of its functionality. 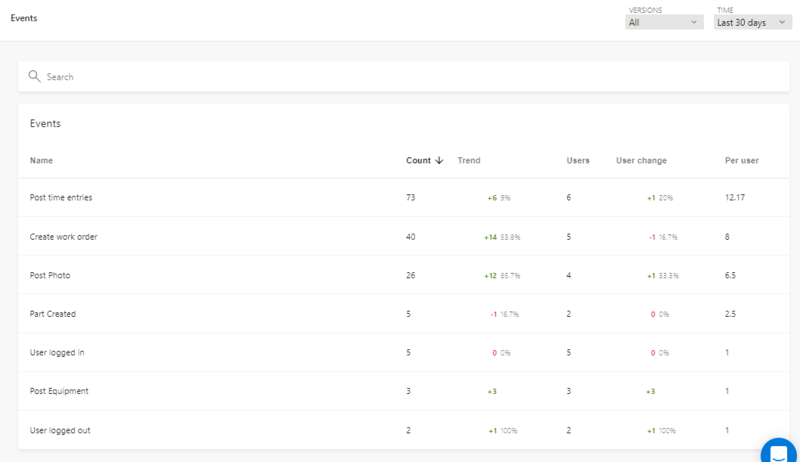 This is useful for a ton of reasons, whether you want to integrate its app management functionality into your workflow in a custom way, or as in my case, use it to access analytics and display custom dashboards. 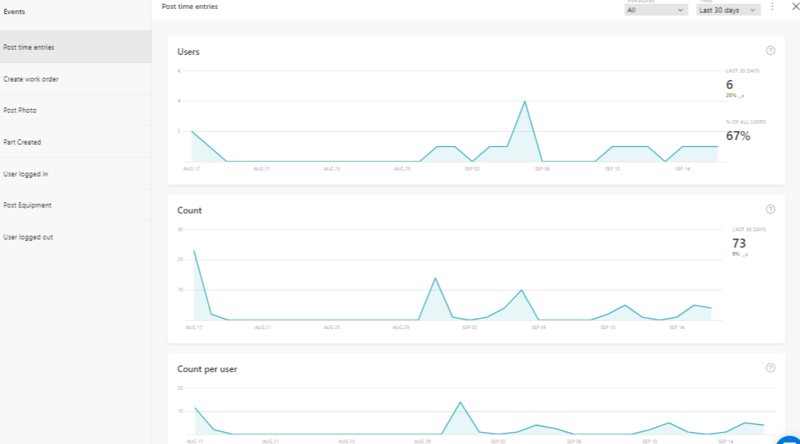 You can of course export App Center Analytics data to blob storage or App Insights. For my purposes, I only needed access to a few aspects of data and also a more fine grained control, so chose to just call the API. The API is documented using Open API here. This post will take you through getting all of the API endpoints imported into Postman and even generate code to start calling them. The tooling has certainly come a long way since building API clients by hand! You can import Swagger into Postman by clicking the Import button at the top of the app. From here you choose the source of the Swagger via file, folder, link or raw text. This is how I discovered that simply pasting the App Center Swagger URL did not work, so I posted the raw json from the link above and it created a new collection containing all of the endpoints. Most of the endpoints do not have a general description so they end up having no title in Postman, making it difficult to tell one from another. The good thing is you can add your own title to your favorite endpoints and save them in the collection. To authenticate your call to the API from Postman, you need to obtain a token and (I had to dig around online for this one) add a key named X-API-Token to the header of the call with a value of the token you obtained from App Center. 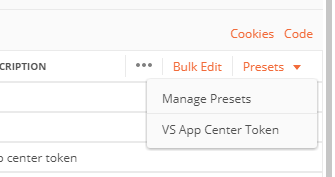 Postman has a neat feature where you can store preset headers and add them to your calls, so I stored the token header as a preset so I can easily add them to new calls. Now that you’re authenticated you can have Postman generate sample code for each endpoint. In my case I used the RestSharp code gen feature. To do that, click the code link (shown in the image above) while you’re in edit mode of a call and select your language. That’s it, you’re off and running!